A monthly bilingual (English and simplified Chinese) tourist magazine with 12 years of independent editorial coverage. 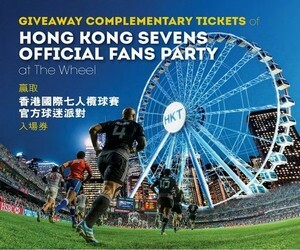 The magazine is sponsored by the Hong Kong Hotel Association (“HKHA”) and is distributed free in hotel rooms of HKHA member hotels. With print run of 60,000 copies monthly, the magazine, which provides timely and useful information to tourists and business visitors, has become one of the best known tourist related publications in Hong Kong. The magazine is known for delivering up-to-date and relevant information on the city’s events, attractions, dining, shopping, arts and entertainment. Street maps are designed to cater to tourists’ demand by assisting in their search for direction and attractions. They are offered in three options: Hotel-Tailored, English, or Simplified Chinese. Please contact CityLife for more information.